I just received my copy of Gygax magazine issue 4 in the mail. Every time I open one of these issues it takes me right back to the early 1980s. From the smell of the freshly printed paper, the design layout and the content this is a nostalgic homage to the original Dragon magazine. I work in the information technology world for a living and I’m a big technology guru. That being said, I still really enjoy hard copy magazines and books. There is just something tactile and pleasing about leafing through real pages you just don’t get with a PDF. Also RPG books and magazines just lying around are probably one of the best gateways for new players. Curiosity because of a fantastic cover often will draw just about anyone in for at least a cursory once over. 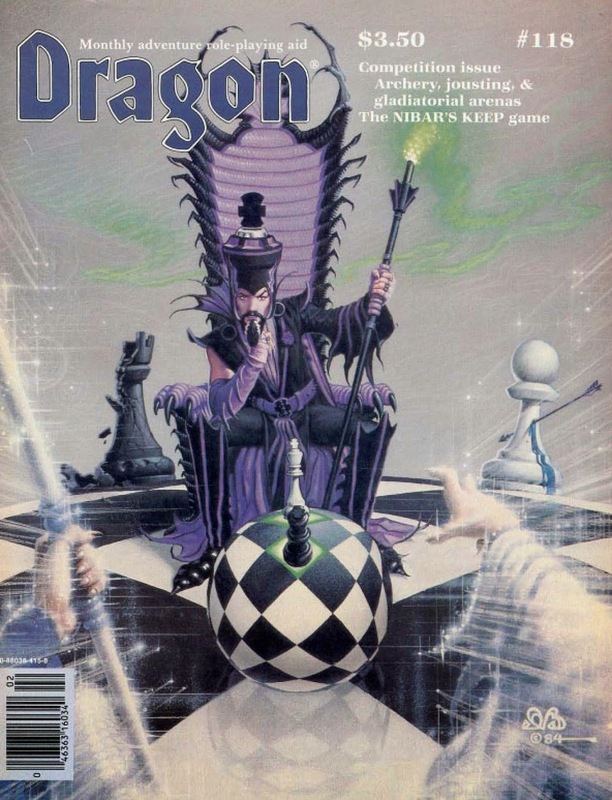 And that is what brings us to this Throwback Thursday and Gygax magazine issue 4. The cover is painted by the incredibly talented Den Beauvais. His work has graced countless RPG products over the past decades. A quick visit to his website will really open your eyes just to how voluminous his works have been. 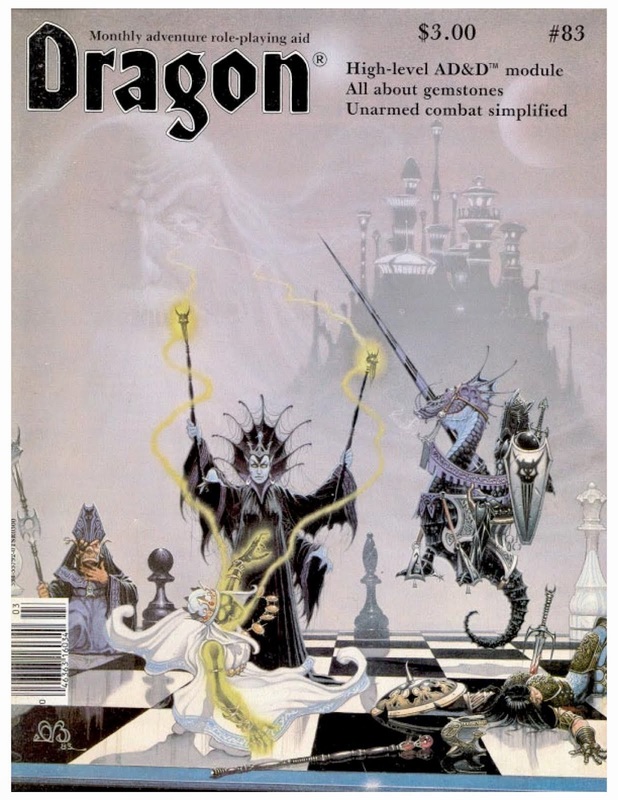 There is an interesting backstory to the cover of Gygax magazine issue 4. It actually represents the ongoing saga of a magical chess game being played out for a very long time. 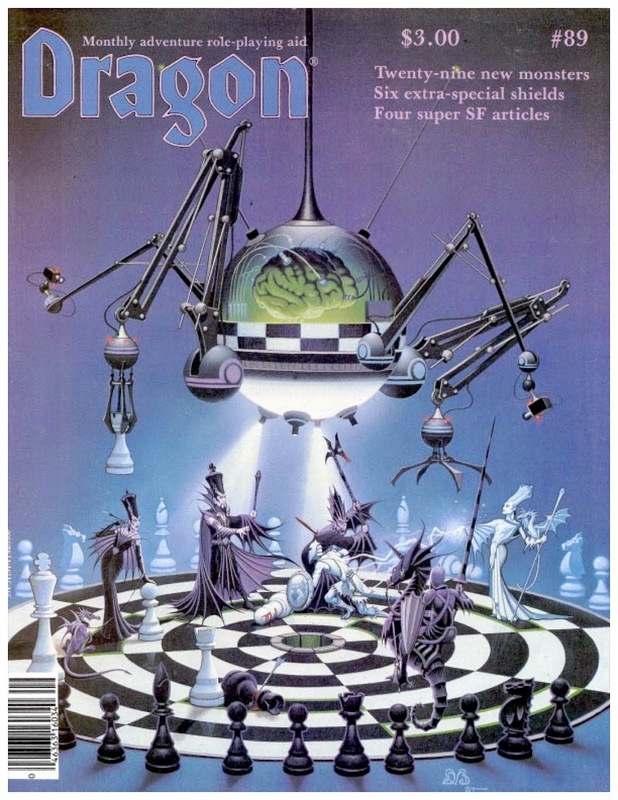 It all started with Dragon magazine issues 83, 86, 89 and 118. 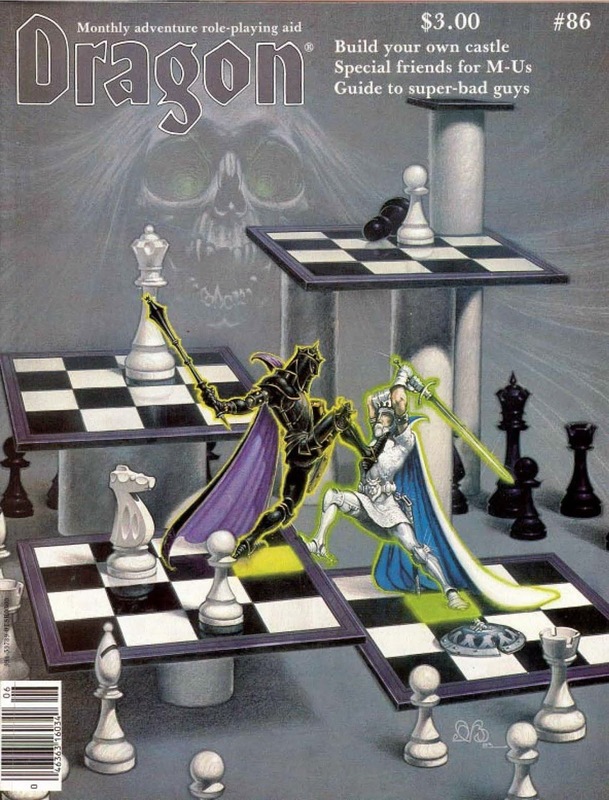 Dragon issue 86 still resonates with me the most in terms of cover art in the chess series. It was 1984 and I had been playing Dungeons & Dragons for about one year at that point. I remember several attempts at trying to draw the knight scene I loved it so much. I wish I still had them to share with you all now. 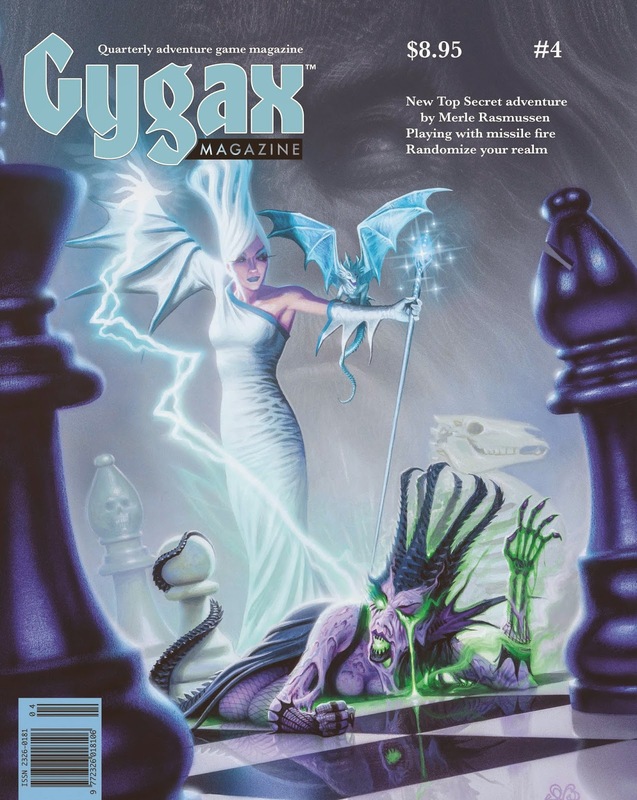 Gygax magazine has not disappointed me yet and the cover of issue 4 is a wonderful follow-up in the series. For the uninitiated in chess the queen is the most powerful piece, able to move any number of squares vertically, horizontally, or diagonally. Early queen attacks are rare in high level chess, and a queen exchange often marks the beginning of the endgame for more advanced players. With that in mind this latest work really keeps that theme as a foundation as the fifth painting in the series. For those interested in Gygax magazine I encourage you to support the publication. A one year subscription (Issues 5, 6, 7, 8) runs $35.00 and you receive both hard copy and PDF. Just the name of the magazine alone should inspire grognards and greenhorns alike!